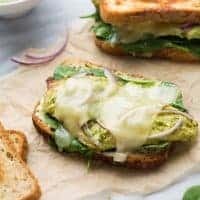 Gluten-Free Chicken Pesto Melts! 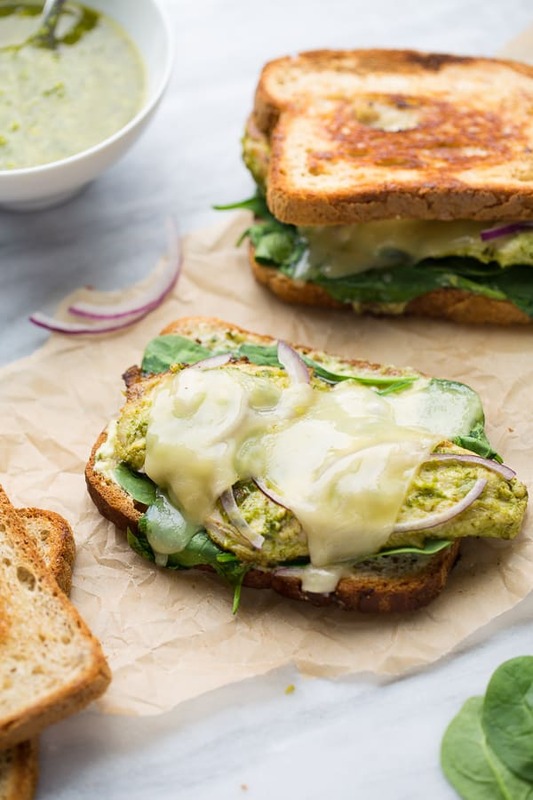 Delicious, easy sandwiches with chicken, pesto mayo, spinach, red onion and havarti cheese. All grilled to melty, toasted perfection! Do you eat gluten-free and ever get tired of having sandwiches on mini slices of bread? I totally do! Sometimes you just want a big, real-deal sandwich you can sink your teeth into. I’m so excited to partner with Canyon Bakehouse today as they launch their Heritage Style Gluten-Free Bread! If you’ve never tried Canyon Bakehouse bread, you must. It is soft and totally delicious. And Canyon Bakehouse’s new Heritage Style loafs have HUGE slices. 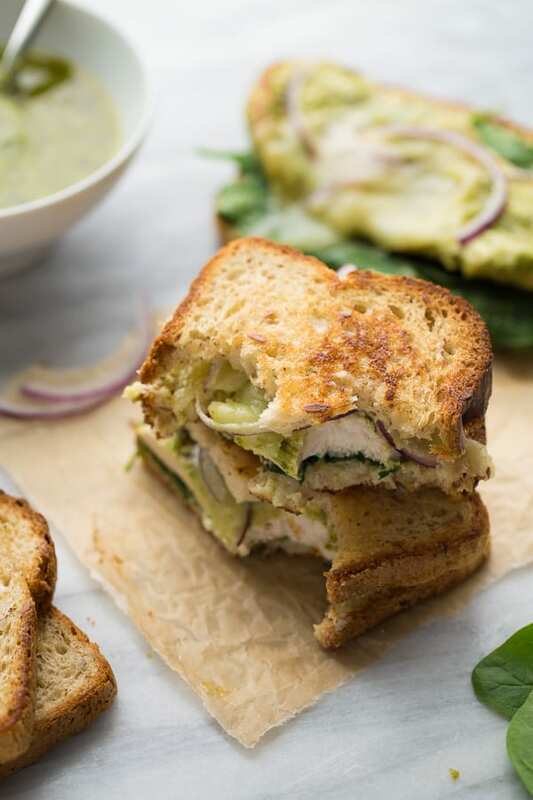 For these Gluten-Free Chicken Pesto Melts, the Heritage Loaf slices are big enough to hold an entire grilled chicken breast, which isn’t possible with any other gluten-free bread I’ve tried. 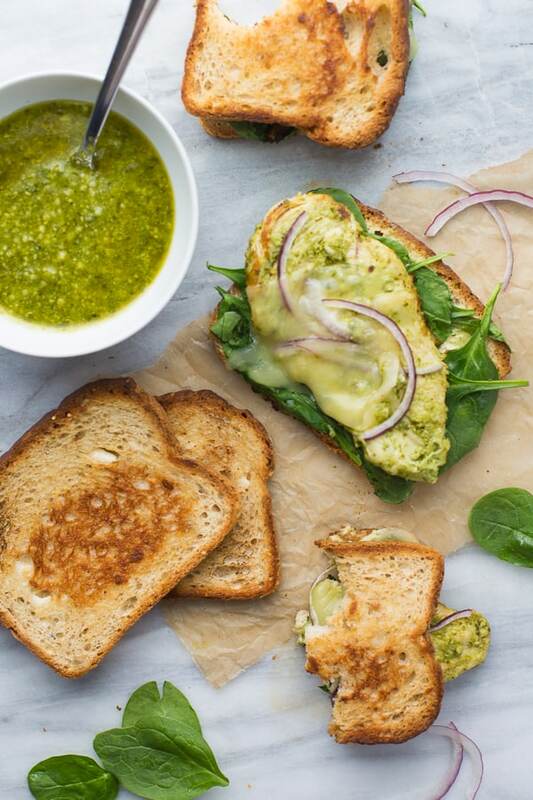 The bread also holds up nicely to a slathering of pesto mayo and being grilled with red onion, spinach and havarti cheese. Yum! This might be favorite sandwich of all-time and I’m so excited to have regular-size, gluten-free bread to make it on. It makes me feel like I’m eating a sandwich at one of my old favorite (but not gluten-free) soup and sandwich lunch places. I also made my family grilled cheese sandwiches on this bread and they turned out amazing. The bread has the perfect texture and makes fabulous, big sandwiches. No need to make 2 mini sandwiches for everyone with this Heritage Loaf! 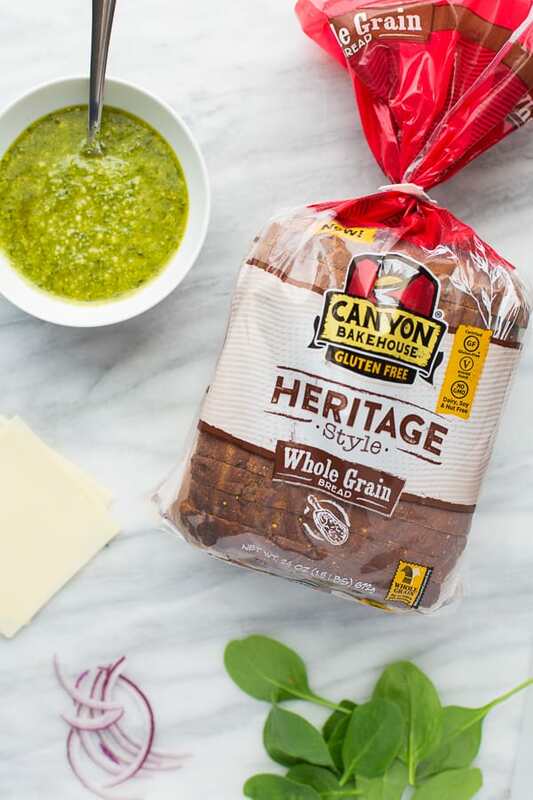 The Canyon Bakehouse Heritage Loaves are whole-grain, non-GMO, and dairy, nut, and soy-free. Having regular-size bread back in my life again is a gluten-free dream-come-true. My mind has been spinning with possibilities (hello regular-size breakfast sandwiches) to make with this bread. It is available now in Target nationwide and will be available in Whole Foods and Sprouts in February! Three cheers for the big loaf! 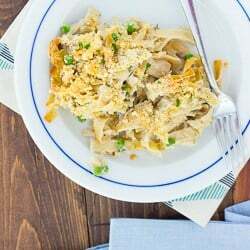 My favorite pesto to use in this recipe is the kind from the refrigerated section of Costco. It’s amazing. Trader Joe’s also has a delicious one. Any pesto will do! In a large plastic bag, combine all the ingredients for the chicken. Mix together thoroughly to coat the chicken, then squeeze any air out of the bag. Let marinate for at least 2 hours or overnight. Heat a grill pan or saute pan over medium-high heat. Brush lightly with olive oil. Grill the chicken on each side for 3-4 minutes, until cooked through. Meanwhile lightly spread one side of each slice of bread with mayonnaise. Mix together the 1/4 cup pesto and 1/4 cup mayonnaise to make pesto mayo. On the other side of 4 pieces of the bread, spread a layer of the pesto mayo. Top with a handful of spinach followed by the chicken, a few slices of red onion and a slice of havarti cheese. Top with another slice of bread (mayo side up – it helps the bread brown while grilling). Heat a nonstick pan over medium heat. Add the sandwiches (you may have to work with just 2 at a time) and cook golden on the first side, pressing on the sandwiches lightly as they cook. Flip and cook on the other side like you would grilled cheese until everything is hot and golden. You can also make these on a panini press. 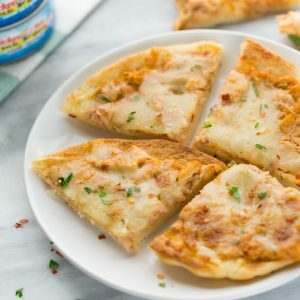 Add an extra slice of cheese if you like. Delicious! Haha I totally understand! Most gluten-free bread is more like large crackers. So glad to have a regular-sized option! Where can you buy this bread? It is available now in Target nationwide and will be available in Whole Foods and Sprouts in February! 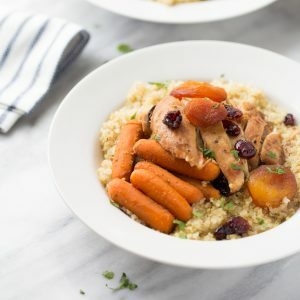 This sandwich is a great way to have a quick and warm meal! I love how flavorful it is.